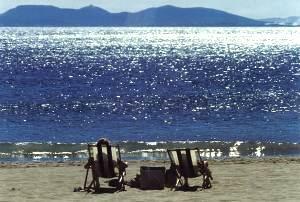 EMPURIABRAVA - is a dream come true for those who love boats, windsurfing and all watersports. 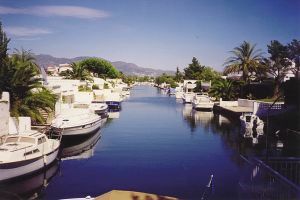 EMPURIABRAVA is the largest and most distinctive marina in Europe, situated beside the romantic bay of Roses on the Costa Brava, at the foot of the Pyrenees. 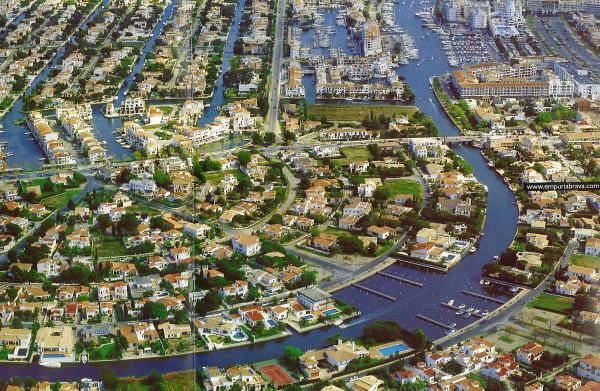 EMPURIABRAVA has over 20 miles of navigable sea canals, its banks are lined with luxury villas, many with beautiful gardens leading to moorings, and comfortable fishermen's houses in the Moorish style. A Paradise for boat lovers and landlubbers everywhere! 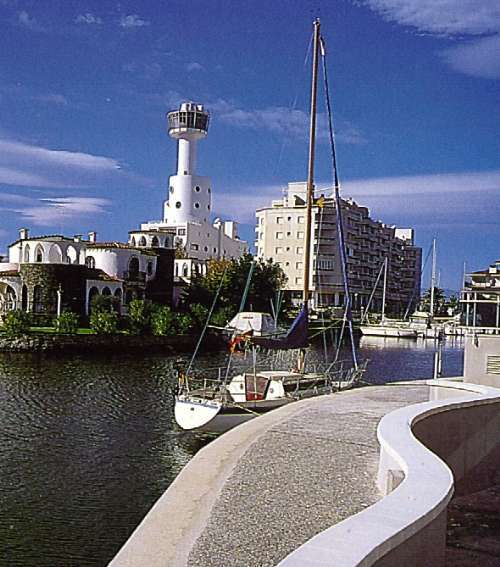 EMPURIABRAVA is bordered by the Rio Muga and the Rio Salins. The town's 6 million square meters lead to a sea front consisting of over a mile of golden sandy beaches, equipped with showers and surfboard storage, and there are plenty of snack bars on the beach too. EMPURIABRAVA also offers excellent shopping with supermarkets, boutiques, travel agencies, newsagents, butchers, fishmongers, cheese shops, as well as services such as doctors, chemists, vets, and marine supplies. There are plenty of cafes and restaurants to suit all tastes and price ranges, and discos for those in search of nightlife. However the residential areas are quiet and peaceful. You can hire a car, a boat, a jet-ski, a bicycle or a surfboard and much much more. Local sports facilities are excellent and include tuition if required - scuba diving, sailing, boating, waterskiing, windsurfing, wave club, Indoor skydiving and Wind Tunnel Flying, tennis, horse riding, fishing, bowling, mini-golf, golf, Pitch and Putt, yoga, squash, segway, bicycle and cars for rent, jetski, climbing and parasailing are just some of the options on offer. There are numerous trips and excursions to be made to the surrounding area. EMPURIABRAVA - it's a dream come true for all boat enthusiasts! There are moorings for every size of boat, a 50 tons dock facility, repair workshops, refuelling station and chandlers, and it's all waiting here for you. Above all, there's the combination of the beautiful beaches and bays of the Costa Brava, many with blue flag status, plus the vast expanse of the sparkling blue Mediterranean, with visitor's moorings in both the larger and smaller harbours, all inviting you to make this the holiday of a lifetime. So don't hesitate, contact us now and we'll find the right accommodation for you!